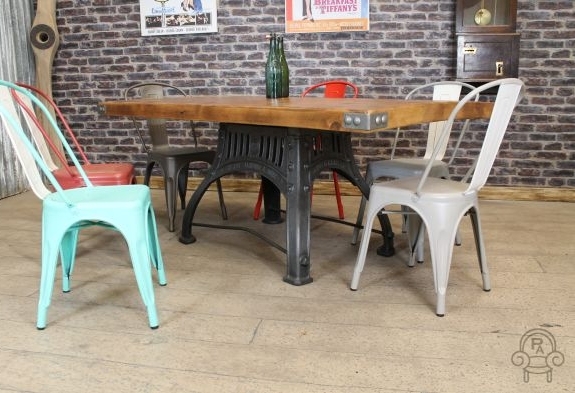 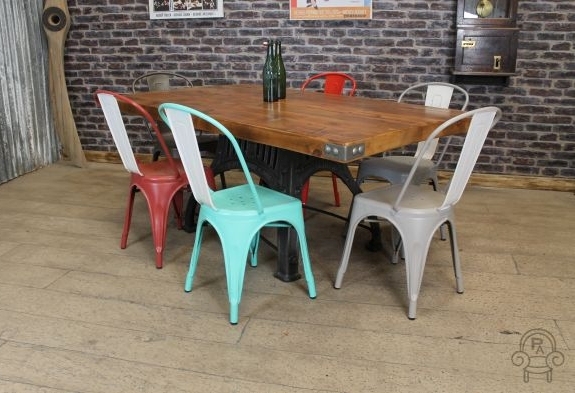 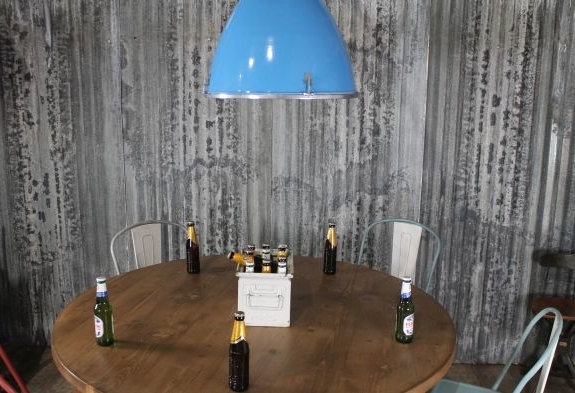 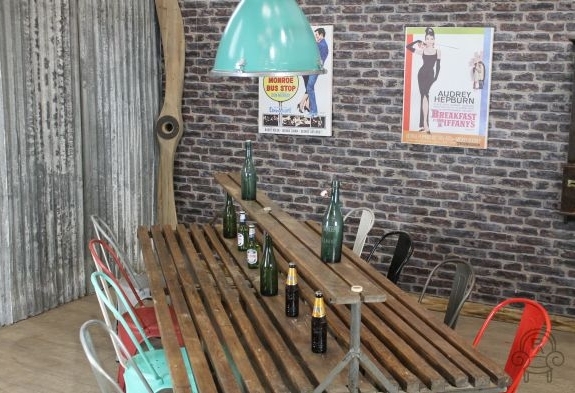 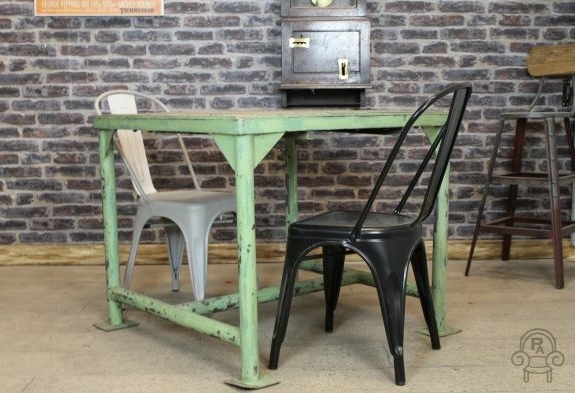 These retro formica top tables are a great addition to our vintage and industrial furniture range. 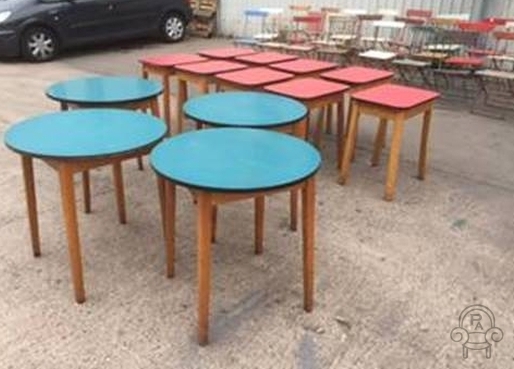 These 1950s/60s wooden based tables come with either a red rectangular/square top or with a round blue top. 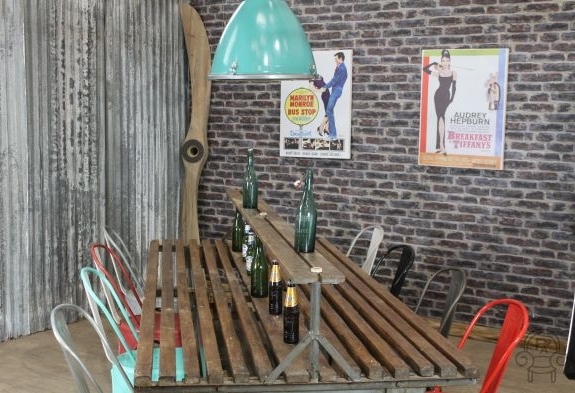 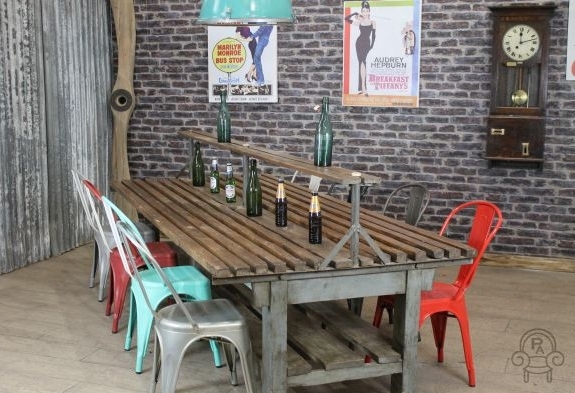 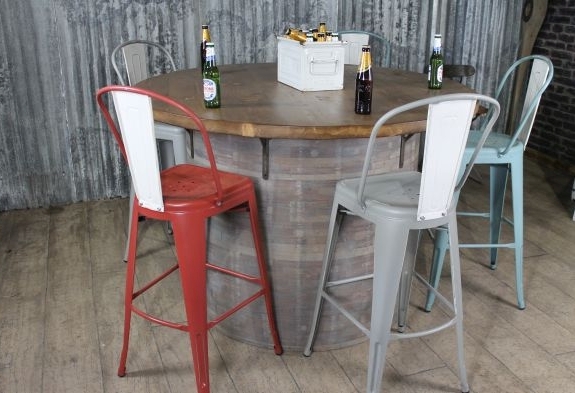 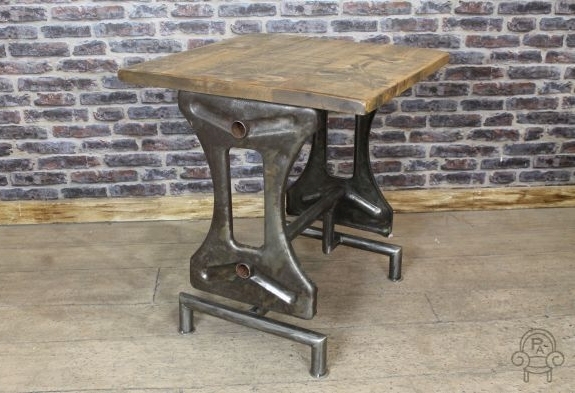 We have number of these tables in stock and they would look fantastic in a cafe, bar, restaurant or any retro or vintage style interior space. 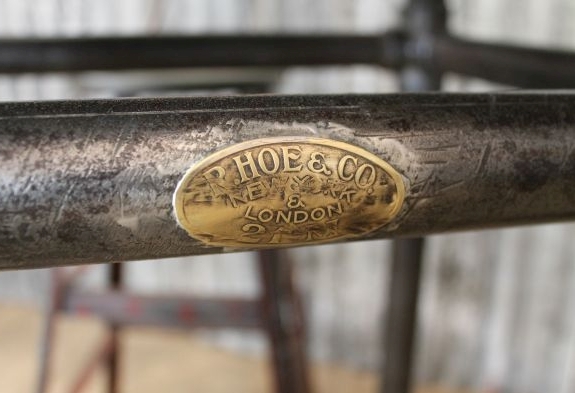 The items are in good condition, but may show signs of general wear and tear due to their age. 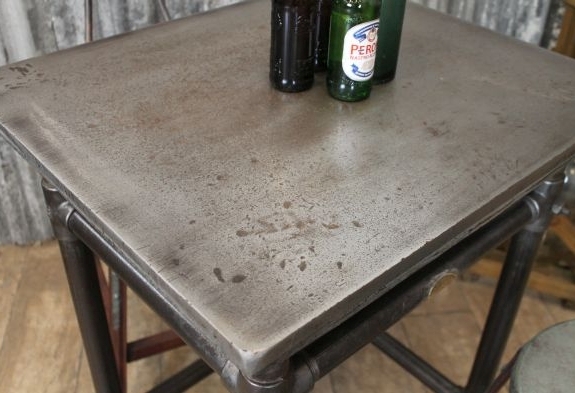 Please note this listing is for one of our retro formica top tables only, but we do have more available. 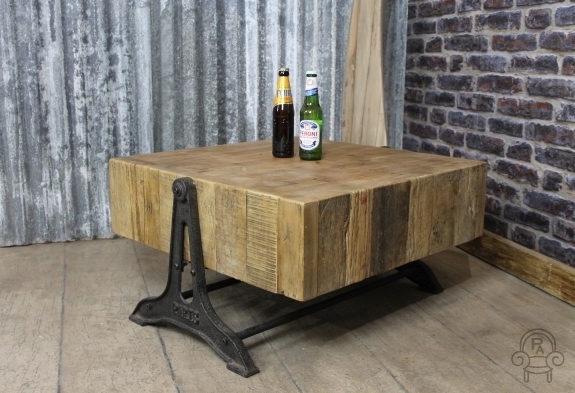 It’s a stunning range of items that have been very well received. 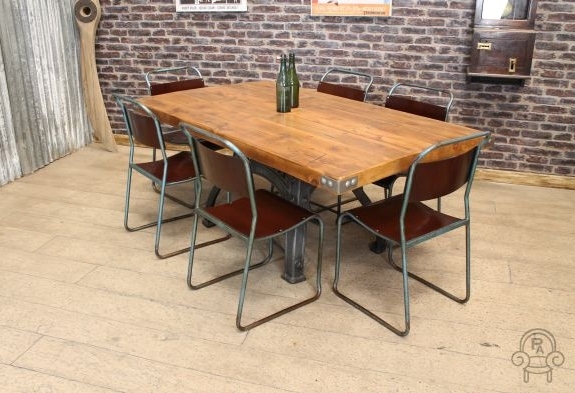 This is a great chance to purchase a vintage restaurant table from our wide collection of vintage, industrial and reproduction furniture. 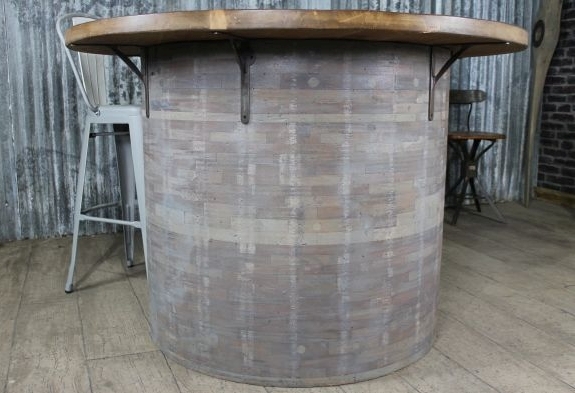 These unique tables would make a real statement feature in any restaurant, bar or cafe. 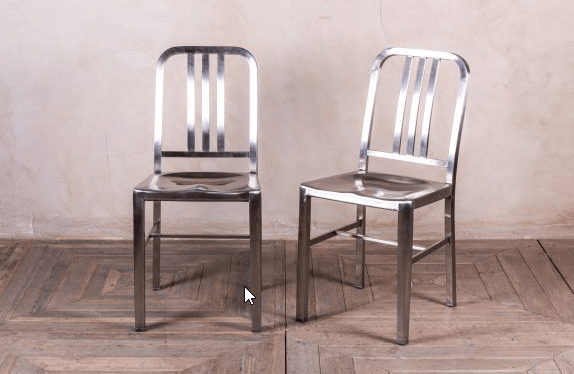 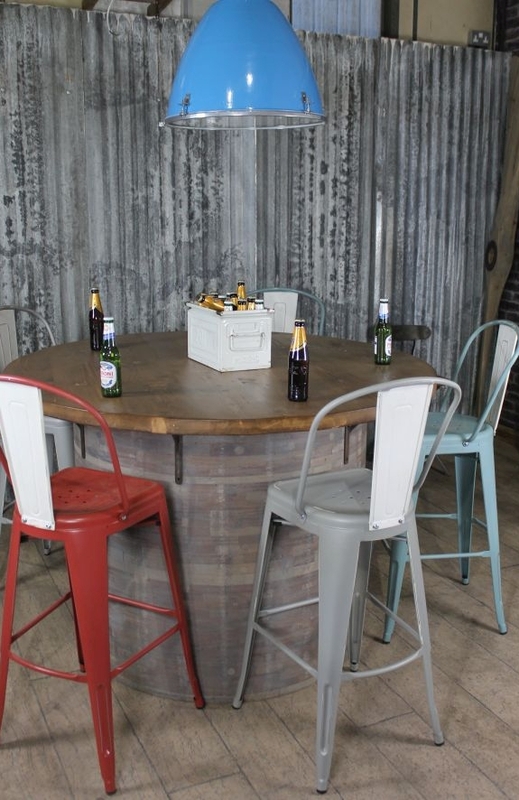 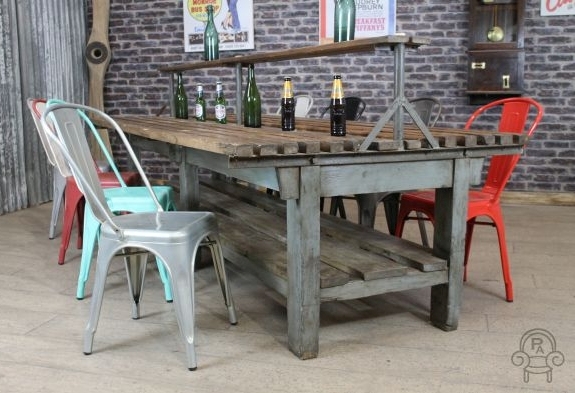 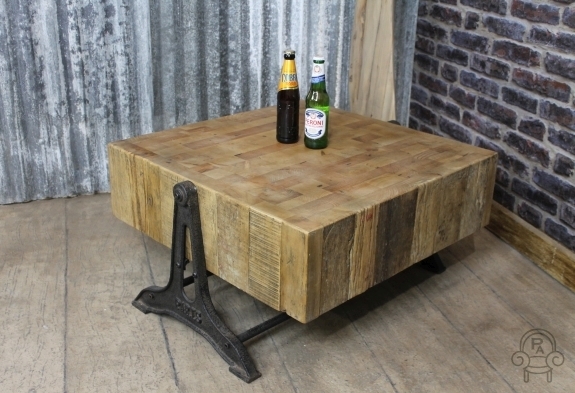 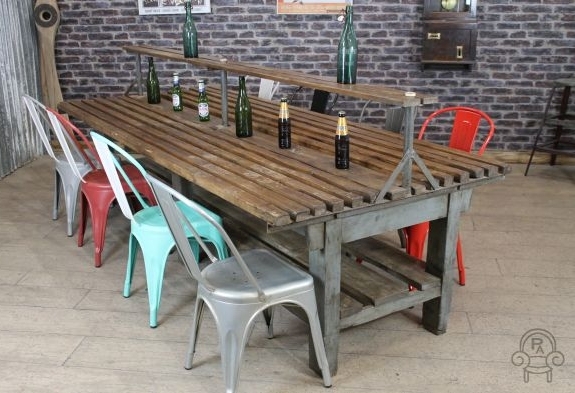 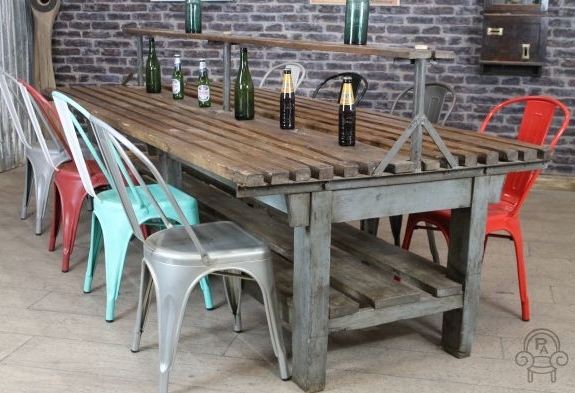 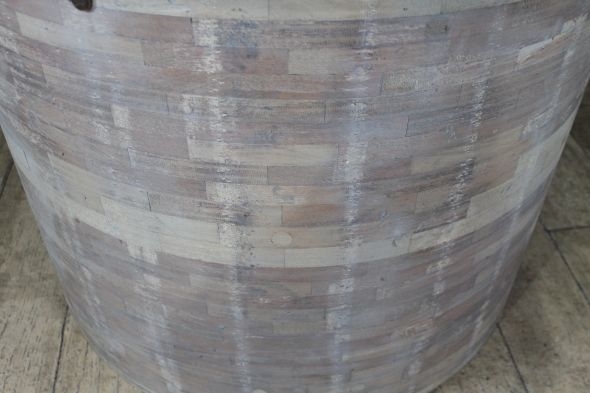 They feature a 30mm thick reclaimed pine top and a substantial pressed steel and tubular construction base. 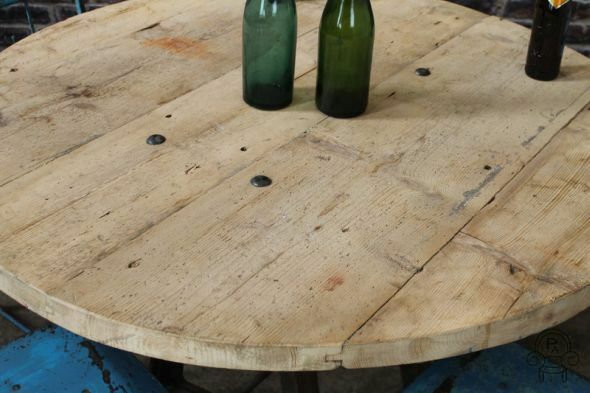 We can put two bases together and add a larger top to create a bigger table if needed; please contact us for more information. 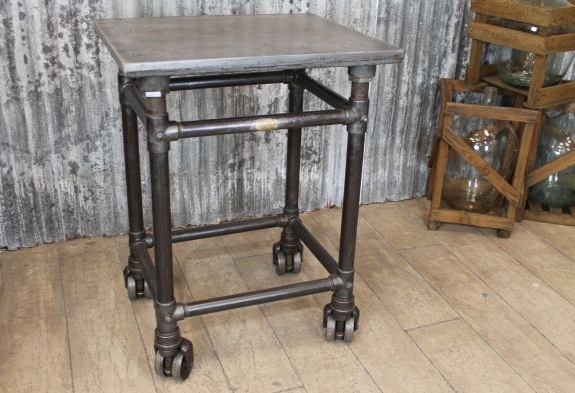 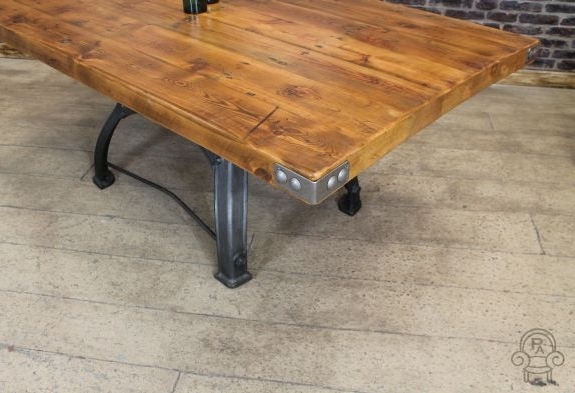 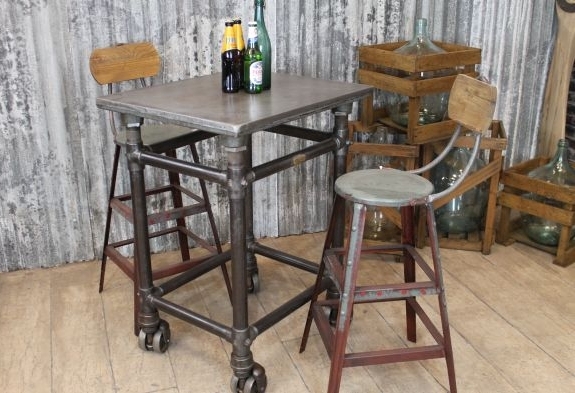 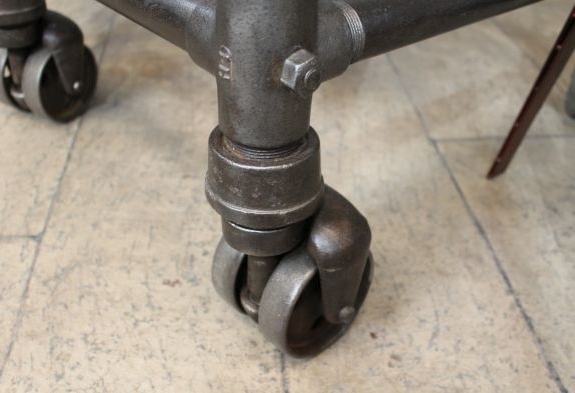 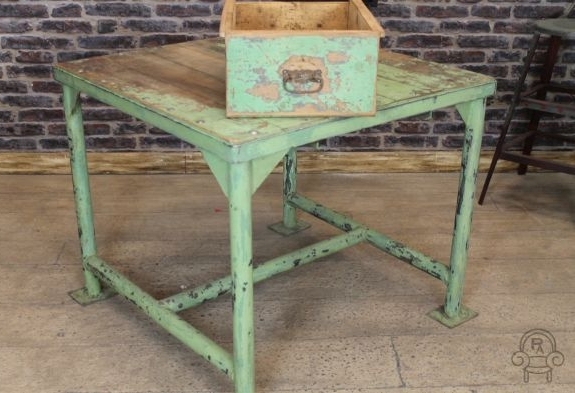 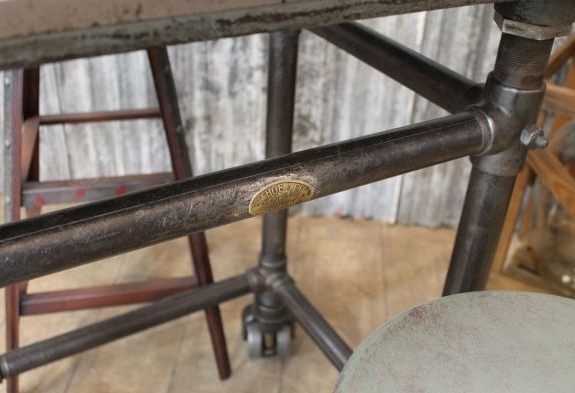 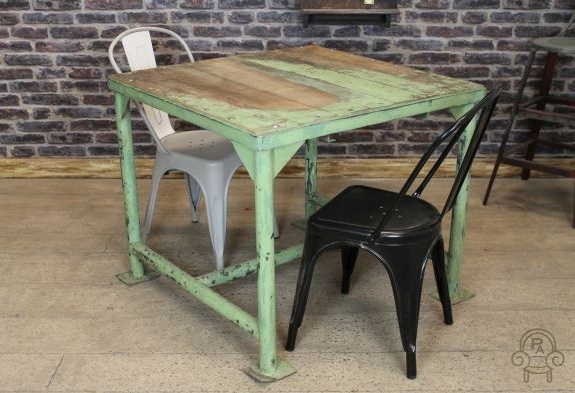 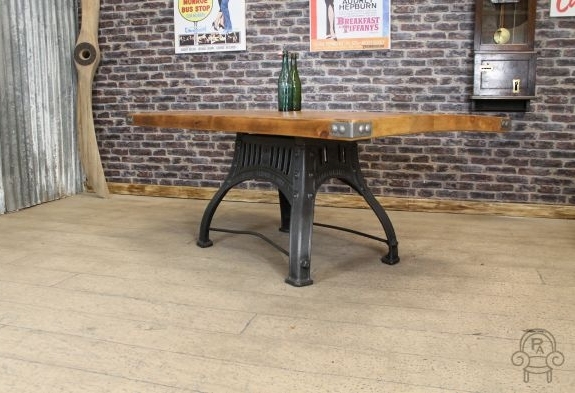 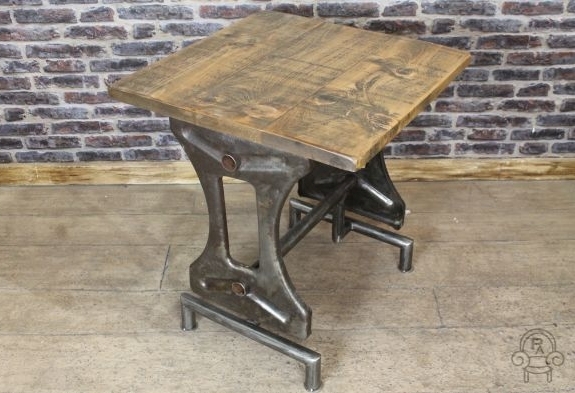 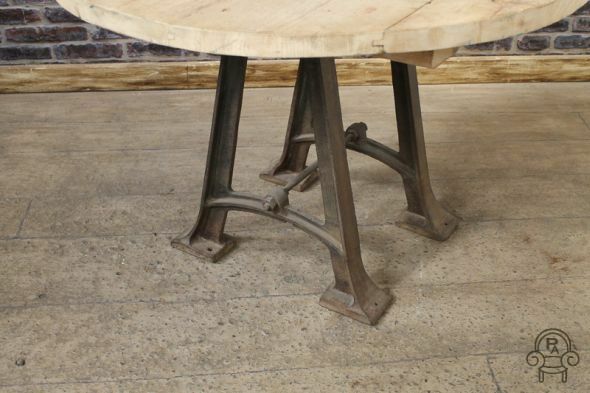 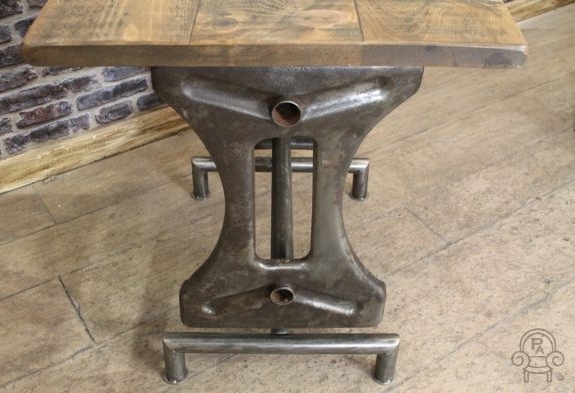 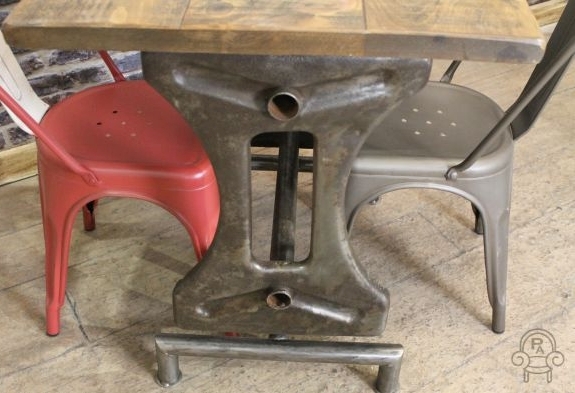 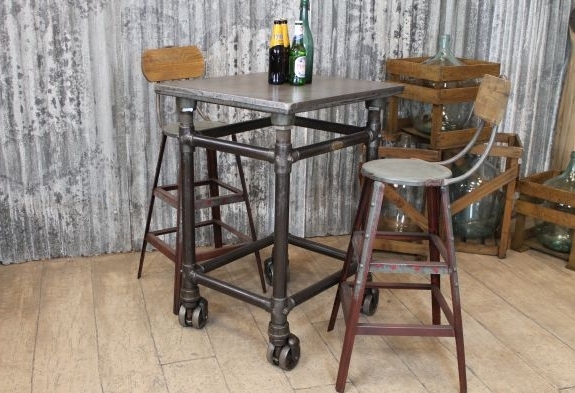 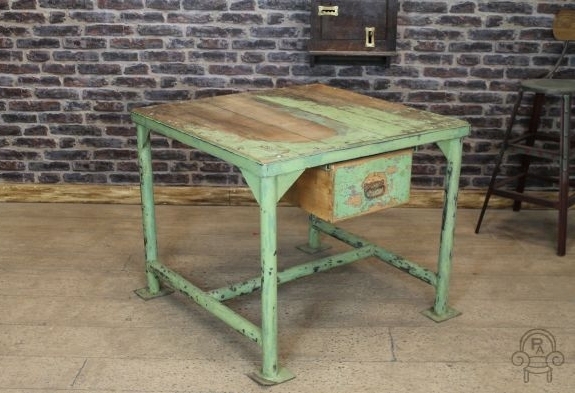 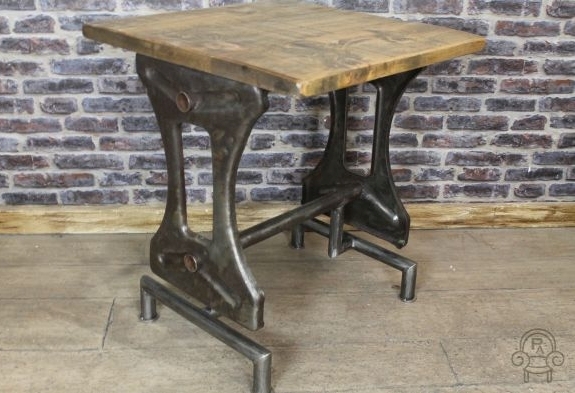 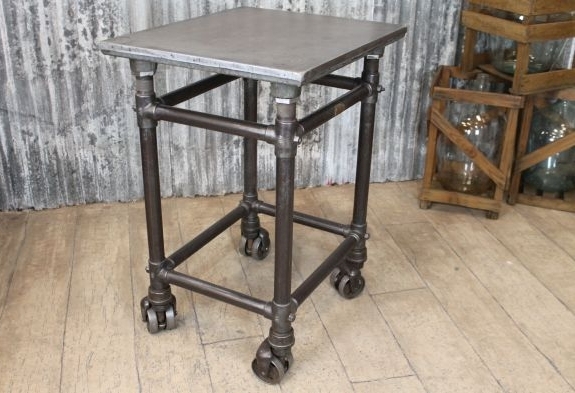 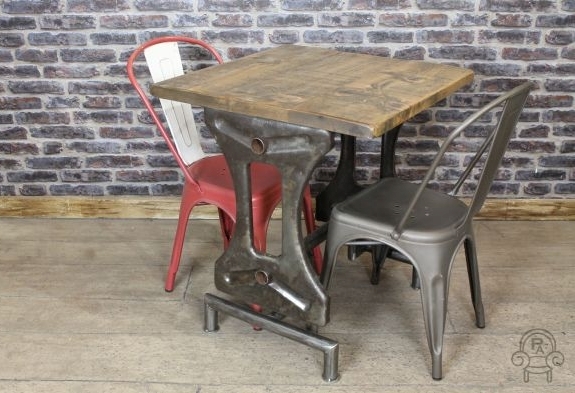 These wonderful industrial tables are really unique one-off pieces and have been shipped in from Eastern Europe; they would previously have been used in a large clothing factory as machinist tables. 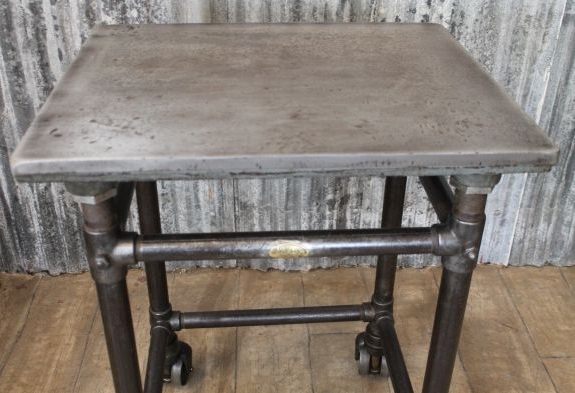 Please note, this listing is for one vintage restaurant table only, but we do have a number in stock. 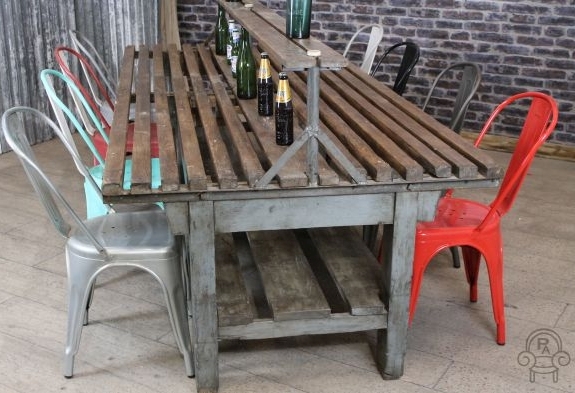 The other items pictured are not included in this listing. 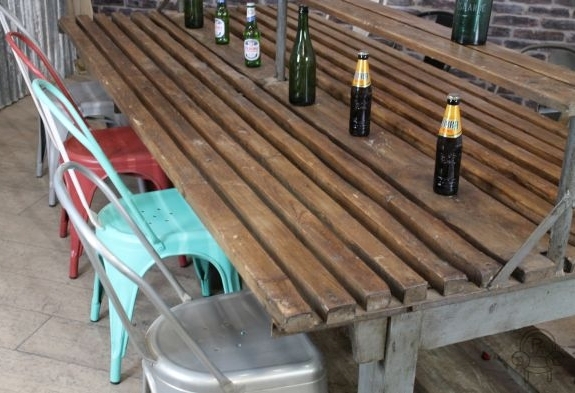 Please note this listing is for one table only. 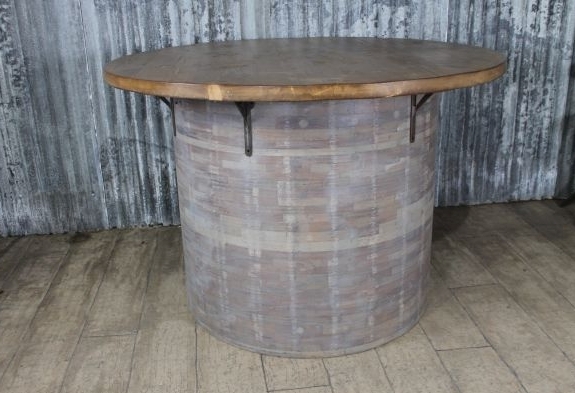 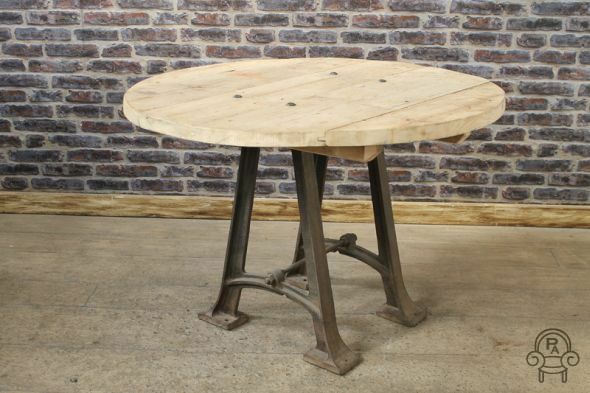 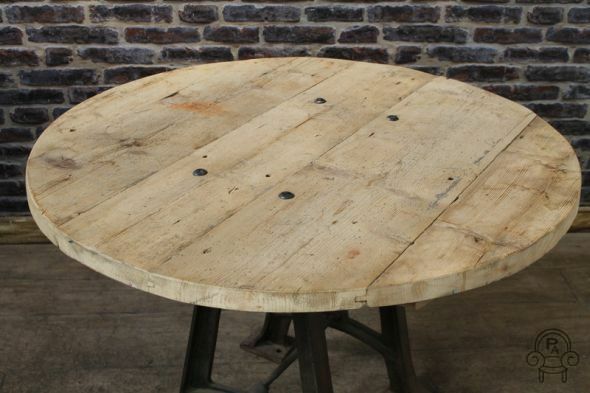 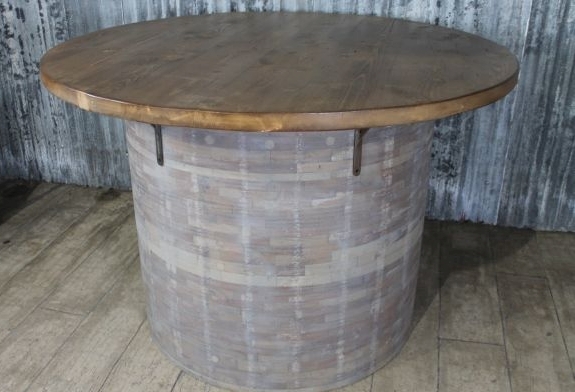 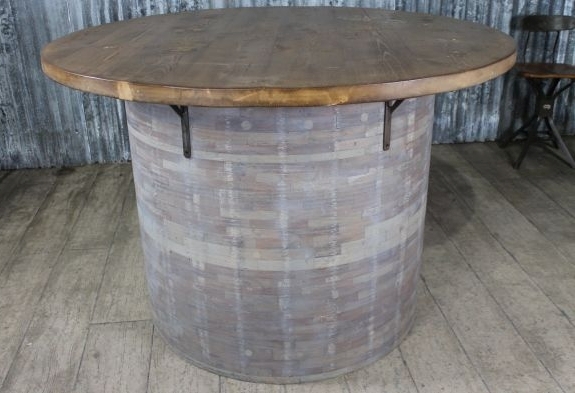 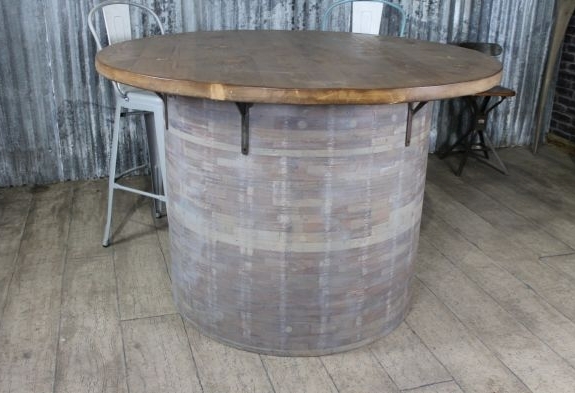 This wonderful bespoke large round rustic dining table is a great addition to our vast range of vintage and industrial style furniture. 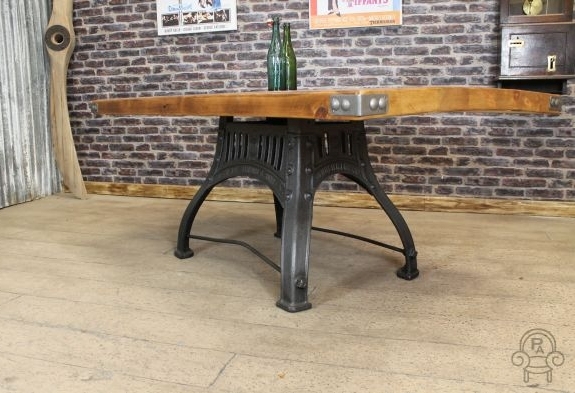 This table would be perfect as a statement piece for any dining room, or equally ideal for a summer room, conservatory or bistro bar. 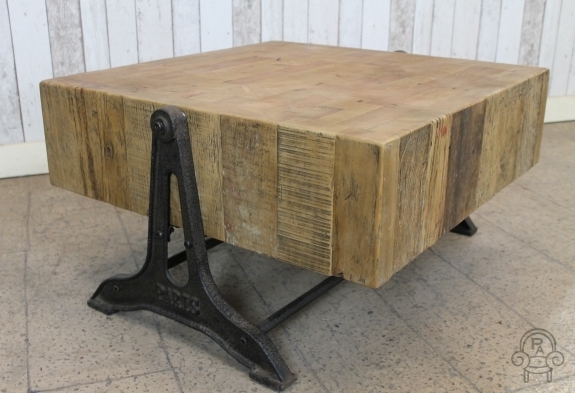 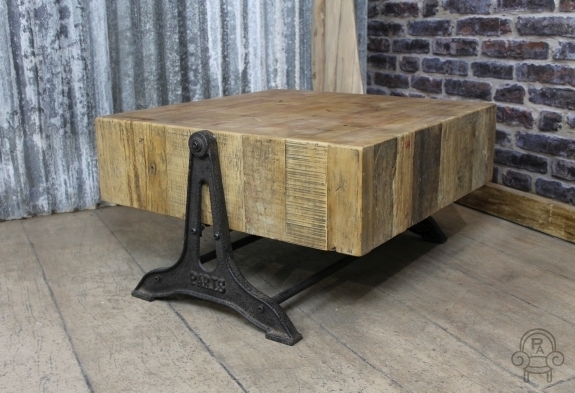 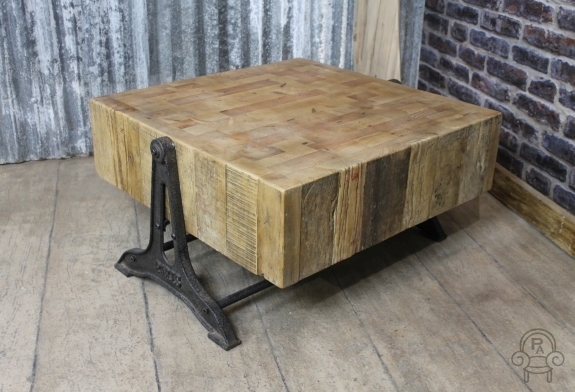 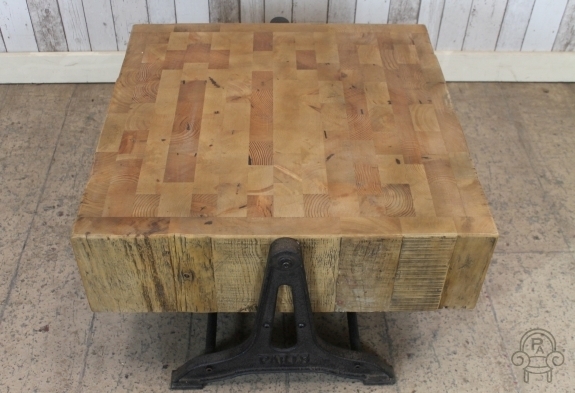 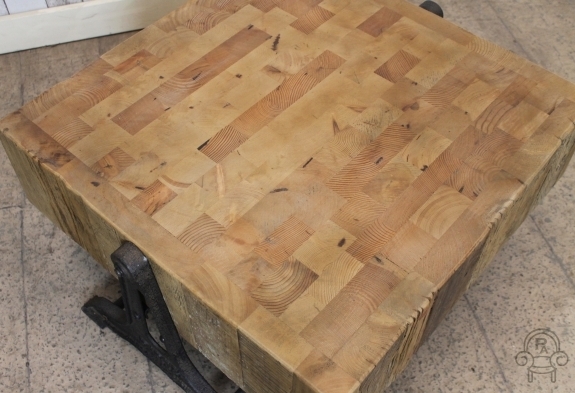 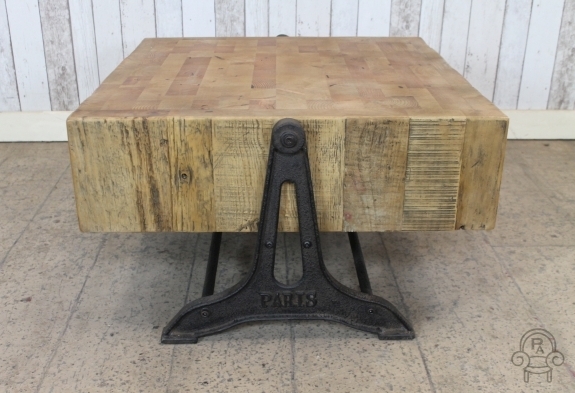 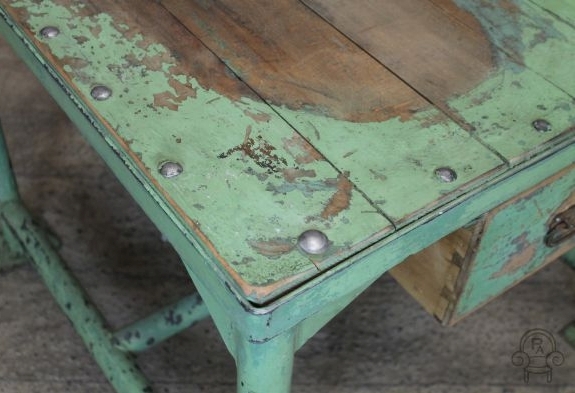 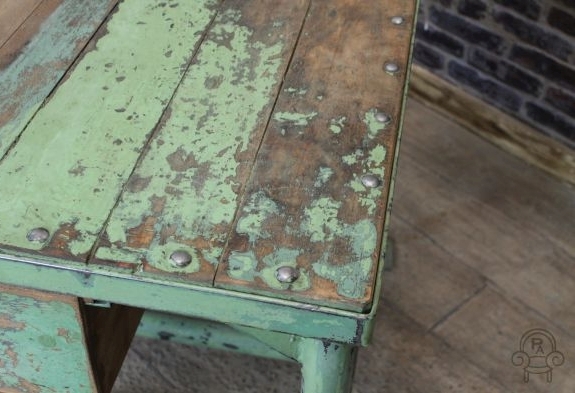 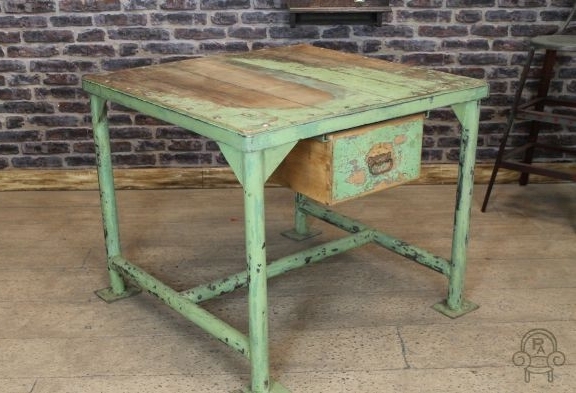 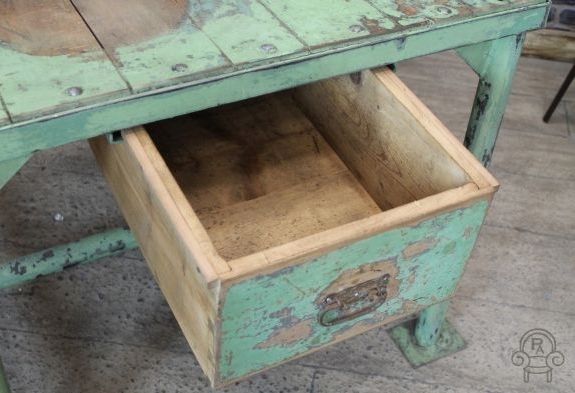 This original table is made from distressed and bleached pine which gives it a weathered rustic appearance. 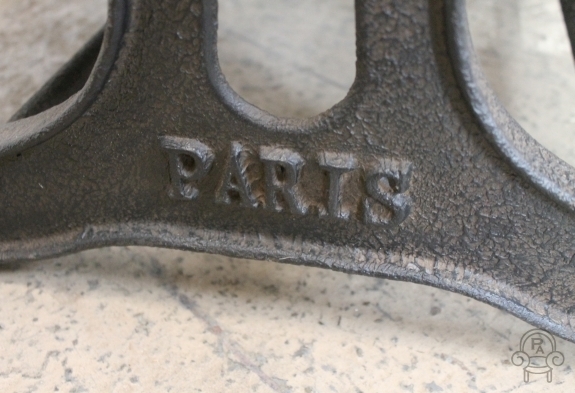 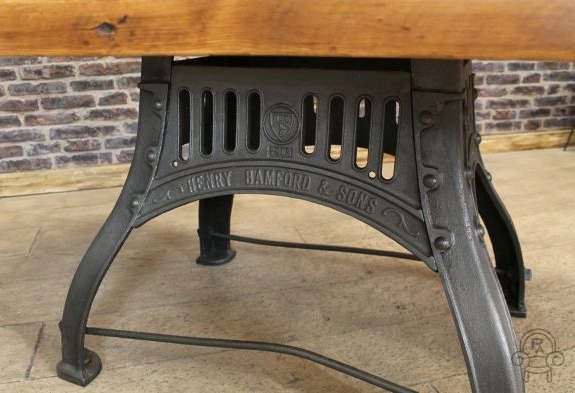 It boasts a unique cast iron base which enhances its urban character and charm. 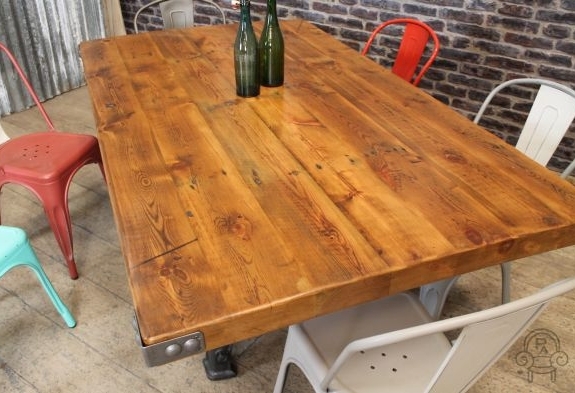 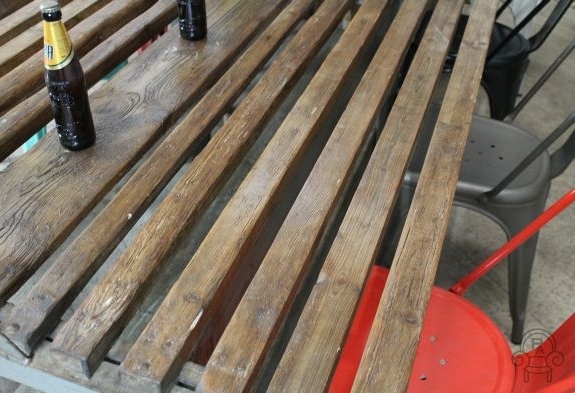 The table top can be stained, oiled and wax to match your specification at an extra cost.